Sophia Webster made her debut in the fashion world with her own design house in 2013. 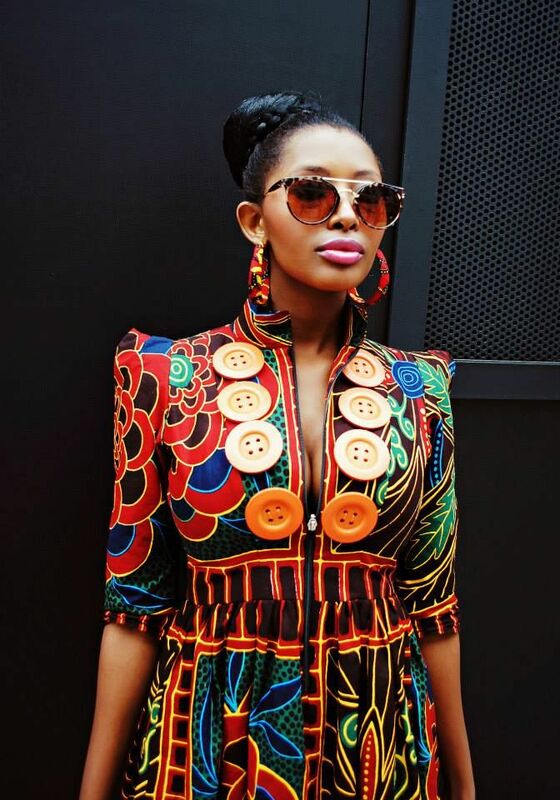 Since then her quirky designs have been flooding runways and sidewalks all over the world. 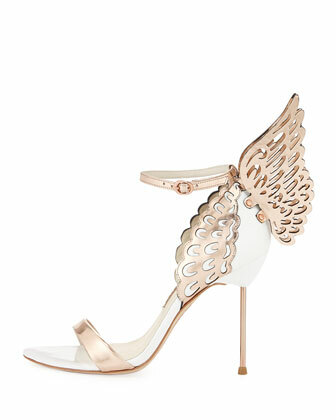 The designer’s latest collection features a rose gold and white heel with cherub/angel wings located at the back . The shoe retails at Begdorf Goodman for $560.00. So the question is splurge or purge? Pantone has always been the solid force in shaping RTW and Couture line’s color choices within the fashion industry. the company’s color matching system is referenced throughout the whole year in order to create beautiful clothing that will appeal to the eye’s and heart’s of buyers. 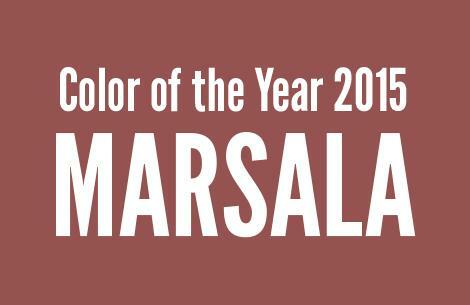 As tradition holds Pantone has released the color of the year: Marsala. 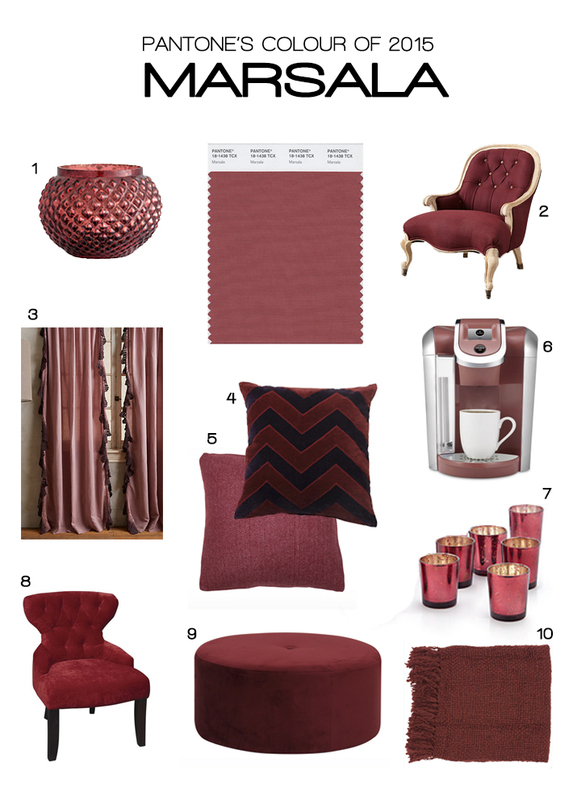 This color is a sleek maroon shade that has a hint of bright burgundy mixed with it. Last year’s color “Radiant Orchid” was splashed all over the runways and streets of the fashion world. 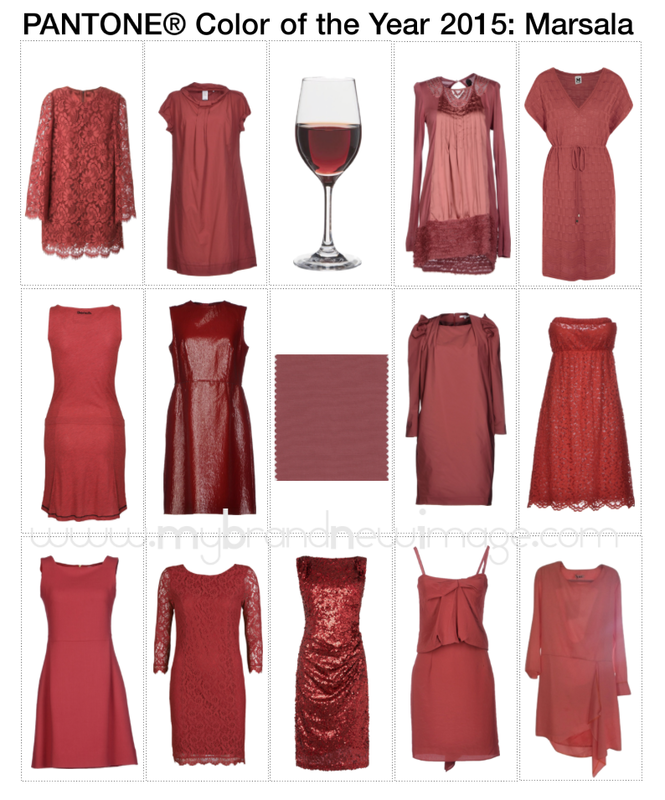 Marsala will be the popular color in fashion wear, beauty, hair and home decor. If you call yourself a fashionista you must showcase this beautful hue in your own special way. 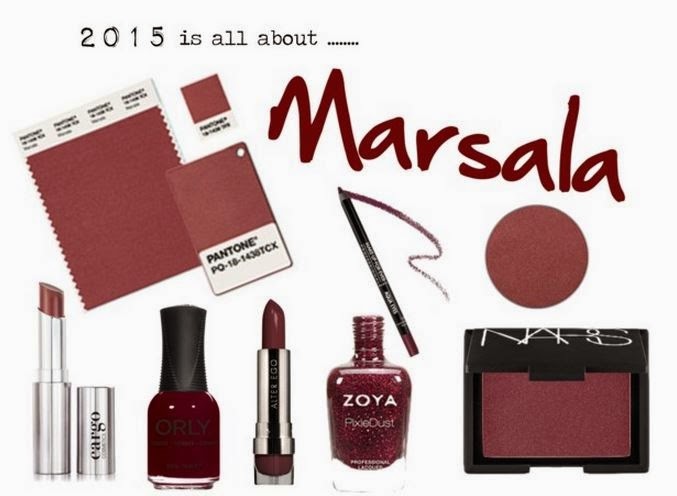 Expect to be known as a fashion forward individual when striding in something Marsala toned this year. Here are some great ideas on how to rock this electric color and rock it with confidence whether it is on your face, in your home or on your body. 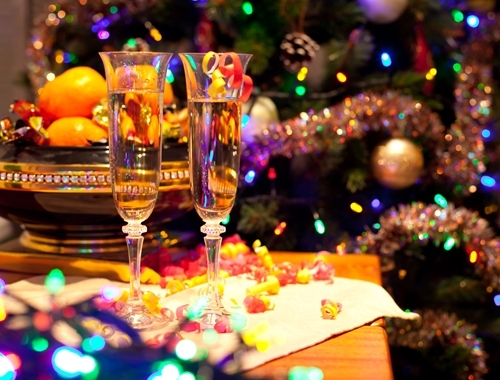 10 Great Things To Do On New Year’s Eve 2015! 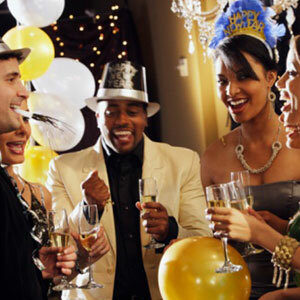 If you are currently contemplating how to celebrate New Year’s Eve, here are ten ways to crystallize the moment and pop into the New Year. From the wild to the tame, this list has something for everyone. 1) Nothing comes close to getting away for a couple of days. 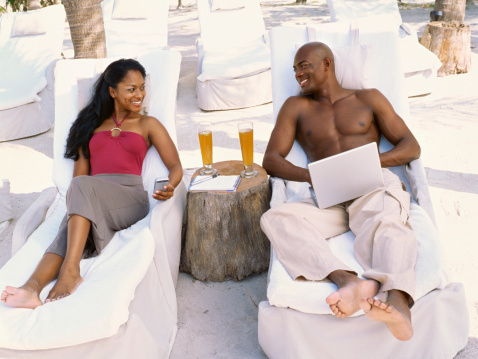 If you plan early enough, you can find great bargains at some marvelous locations, for partying or some rest. Go skiing for a couple of days, head to a tropical island, shack up in some cottage up north, or simply head out to a friend’s place with your significant other. 2) Imagine inviting family members from your side and his to one of your places for dinner, or to a restaurant. Surely not something to do in a brand new relationship, but definitely a great icebreaker for couples who wish to take their union to the next level. 3) Turn everything off, shun the parties and avoid the hassle of a trip by staying home for a quiet and romantic dinner; if you turn anything on, make it some mellow, classical music. The holidays are a good time to take it easy anyway, so sit back, relax and enjoy each other’s company. 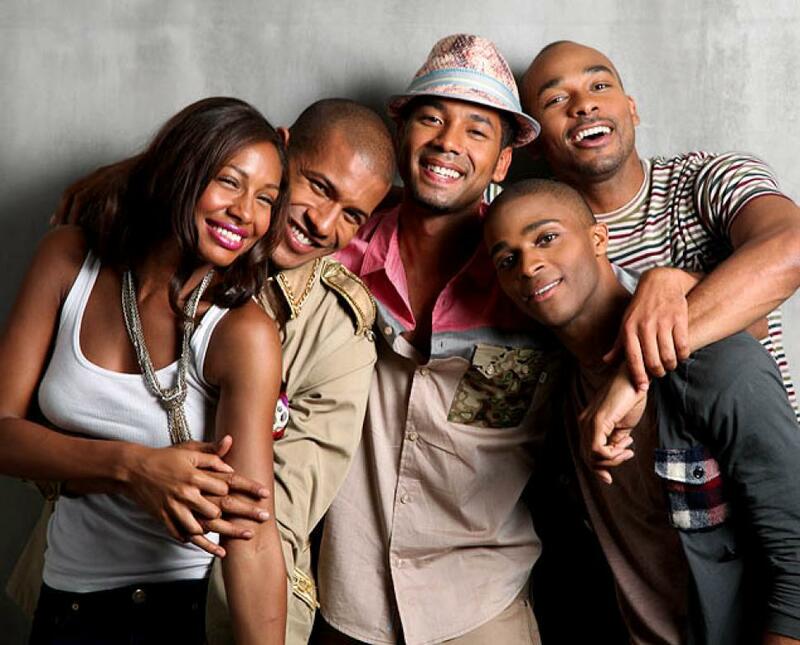 4) Invite each of your close friends. Get together and blend the two circles to see whether they jive. Add some liquor, good music and delectable food to the mix and the chips will fall into place. 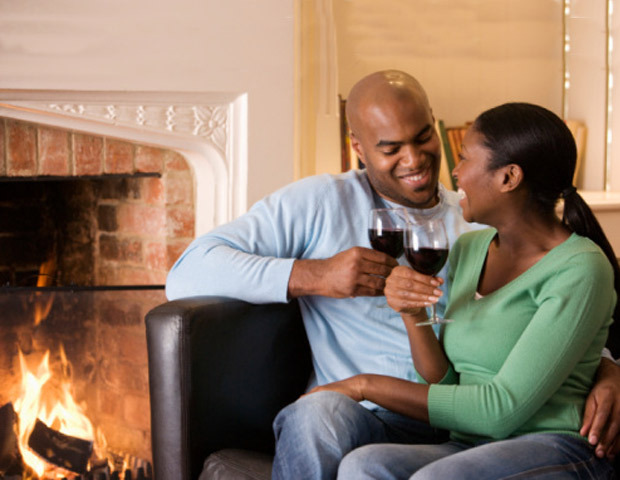 5) Nothing comes close to sitting in front of a fire with your girlfriend or wife, sipping on some wine and reflecting on the past year. Share your ups and downs, exchange resolutions with one another and try to help each other persevere in the year ahead. 6) This is a perennial favorite. 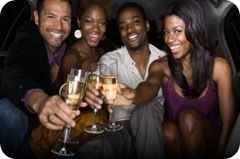 Invite some friends along and go club-hopping or bring the club to you with a party bus rental! Just make sure that you are with your loved ones when the clock strikes midnight. Champagne anyone? 7) Invite friends, colleagues and family for some royal treatment at your place. Rent a masseuse,manicurist, chef &/or caterer. You can cook or make it a potluck, where guests bring along a dish or two. Open up your wine cellar to friends, stock up the bar, play games, watch movies and go wild. 8) Find out whether any masquerades, dances, ball drops or other such events are being planned in your area. Your friends or significant other will love the effort and the fact that you are taking them to another world for a night, where you’ll both be tempted to loosen up and lose your inhibitions. 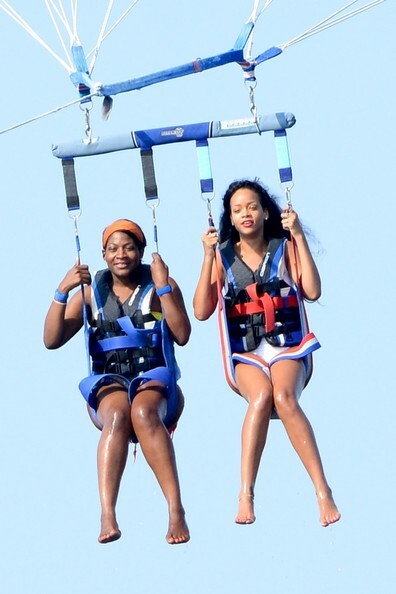 9) Confirm or book a vacation for sometime in 2015. It will be great starting the new year knowing you have a wonderful trip to look forward to! 10) Do something adventurous. Find out what your friends or significant other has always wanted to do, and just do it. You live once, so you may as well live life to the fullest at the start of the year; you’ll feel like you’re on top of the world. There you have it ! Pick any one of these ideas or multiple ones and enjoy your New Year’s Eve! 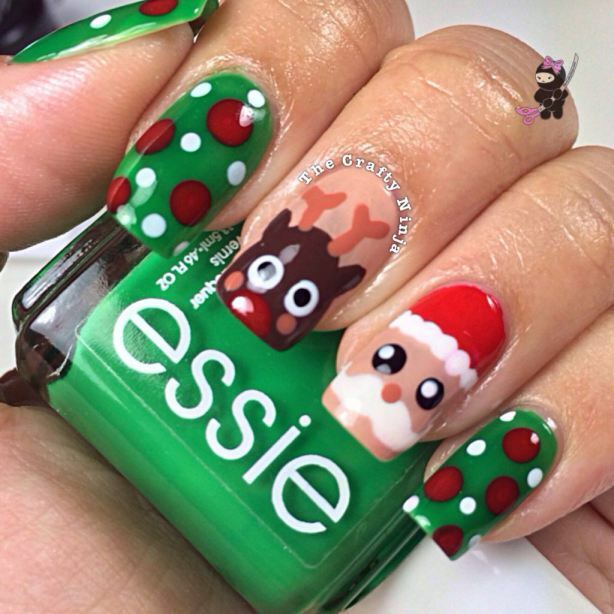 Throw The Most Epic Christmas Party! This is the time of year when we deck the halls, put up a tree, climb up in the attic or garage and bring out the ornaments and get everything ready for the holidays. This is also the time when everyone you know has a Christmas party and they all decide to hold them on the same night! Come to think of it, a mobile app that shows when all of your friends are thinking about having a party so that you could schedule YOUR party some other time, would be a great new product. I’ll get on that just as soon as this blog is posted. 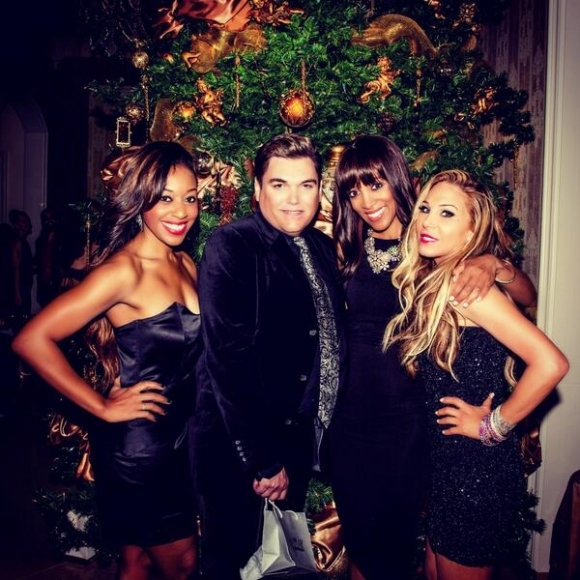 Have you ever noticed that some holiday parties are way more fun than others? Why? It’s really pretty simple. Some people are better at entertaining than others. They think creatively about the party experience. Conversely, some people are better at being entertained than others. If you’re not that great at giving parties, there’s still hope. Like most things in life, all it takes is a good plan and the determination to execute it. 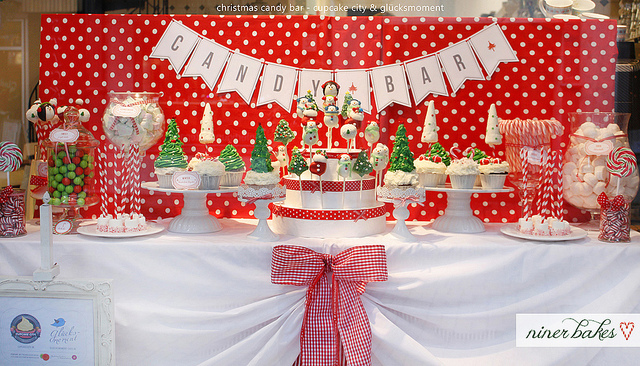 Here are some ideas on ways to throw a better Christmas party. First of all draw up a budget! December is an expensive month. No-one wants to be broke before they pay bills, do the monthly food shop and buy presents for their loved ones, so know what you can afford and cut your coat according to your size. You have to consider where you’d like to host the party, in my opinion the home, is more intimate. A Christmas party is a good opportunity to get people to know you better and what better way than to invite them into your personal space! There’s also something really warm about inviting people to your home. After you have decided on the venue you have to consider the capacity and the number of guests. Make sure you don’t invite more people than the space can accommodate. This brings me to your guest list. 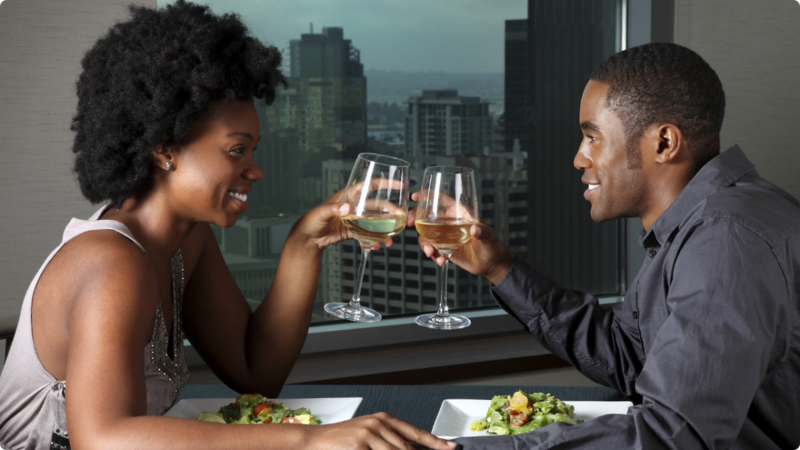 Now you don’t want “drama” at your party if it is an intimate affair so make sure you invite people that like each other; family, close friends and their dates or spouses. On the flipside, if you are having a jump-off then the more the merrier, invite everyone you know: Friends, co-workers, your BBM contact list, you decide…once that is clear the list becomes easy. Personally, we never exclude the children from our gatherings with friends, especially at Christmas, but if you prefer not to, specify on the invitation that it is for adults only. This will give everyone enough time to counsel their nannies or organise the kids to be dropped off at grandma’s. Alternatively, you could hire an entertainer for the day to take care of all the kids that attend. Again if your budget will not stretch that far then engage them with face painting, a Christmas raffle draw, musical chairs, and a dancing competition. Kids are really easy to please, and your friends will thank you for being so thoughtful. There is so much inspiration at this time of the year. There are loads of Christmas decorations and accessories out there, and it’s easy to go to the stores and get what you need. But feel free to hire a decorator if you need help. Set up the table and decorate a day in advance. This will give you time to purchase whatever is missing to make your table and rooms look beautiful. Leave glasses until the last minute so they don’t gather lint and dust particles overnight. After setting the table, check around to make sure everything is clean especially in the areas where guests will be mingling. Don’t forget to spray your house with insecticide, nobody wants to be having dinner and also serve their ankles as dinner to a swarm of hungry mosquito’s who have strategically positioned themselves under the dining table. 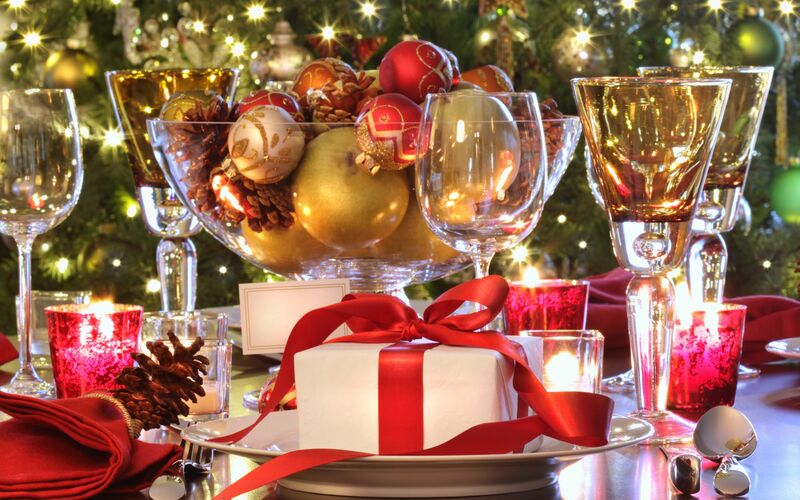 Having the right look for the house is important in order to get your guests in the mood to be merry. While it’s not necessary to transform your home into a winter wonderland, tasteful Christmas decorations on a real tree will go a long way towards building ambiance. You don’t need a full-sized train that runs through the house carrying guests from room-to-room, but any cool, old toys add to the feeling of Christmas. 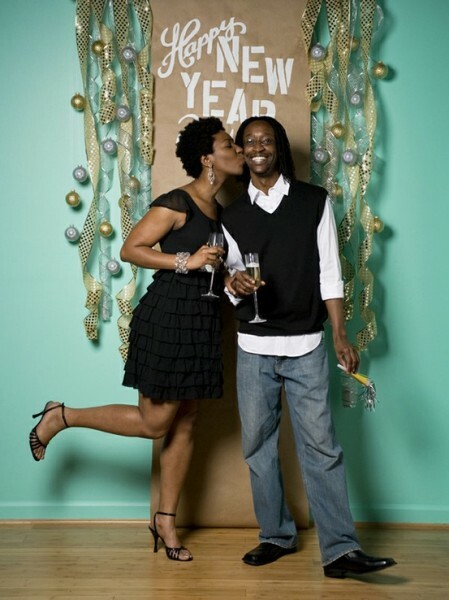 A few years ago, as couple that were known to give the best parties invited us for the Christmas shindig and they did a couple of things that were very cool. First, they had the classic black and white movie, “It’s a Wonderful Life” (with the volume down) running on their big screen TV in one room and “A Christmas Carol” (again, volume down) running on another TV. This was an immediate conversation starter because everyone has a story associated with either these stories or Christmases that they have had in the past. The other thing they did was tie their party to a kid’s charity. Every guest was asked to bring an unwrapped gift for a specific age range of kids and all of these gifts were taken to the charity for kids that would have otherwise not had a great Christmas. Having all of these toys sitting under the tree was a very cool effect for the party. Invite guests in advance. There’ll be lots of parties around this time, the Christmas engagement calendar fills up fast and you want to get your party on the roster. Send the ‘save the date’ well in advance so your party takes priority. Africans by nature do not RSVP, so if everyone hasn’t responded a week from the date, contact them with a quick message. Make sure you prepare a few extras as people tend to bring friends along sometimes and if you’d rather they didn’t, please indicate it in the invitation in the best possible polite way. For sit-down formal dinners, having an accurate head count is necessary to be sure there is enough seating for everyone. Decide what kind of meal and the style of service, is it buffet? Sit down meal? Whatever you decide you have to plan for it in advance. Your budget will determine whether to cook or cater. Feel free to hire a catering company or get a friend or family member if you feel you need help with the cooking. Some people work till the last days of the holidays and may not have time to shop or cook, or let’s face it; you may not necessarily be able to cook everything on your menu, so get real! If you chose to do the cooking yourself make sure you plan your menu in advance so when your guests arrive, everything is set. 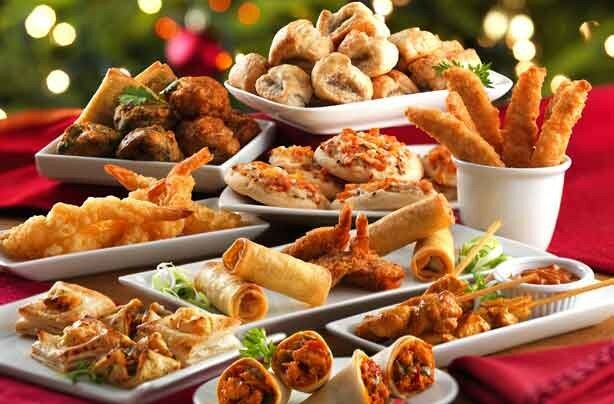 Keep the menu simple and opt for a buffet presentation instead of table service, allowing guests to “help” you this way. To make your life simpler and make your guests comfortable, prepare a table with a beautiful tray with glasses, napkins and the drinks you’ll be serving. Serve your guests’ first glass to welcome them and let them know they can help themselves at any time. More often than not, Christmas parties are just “meet and greet” events with very little fun. Think about the birthday parties you went to as a kid. Would any mom or dad in their right mind throw a birthday party without planning some fun stuff to do? Of course not. OK, here are three ideas to get your holiday party started. #1 Hire a Santa with a BIG personality. Encourage your guests to sit on his knee and tell him (a) if they’ve been naughty or nice (have him insist that they tell him why), (b) what they want for Christmas this year and why. Be sure that there is a microphone nearby so that everyone can hear everything that’s being said and set up a video camera on a tripod to tape every encounter. 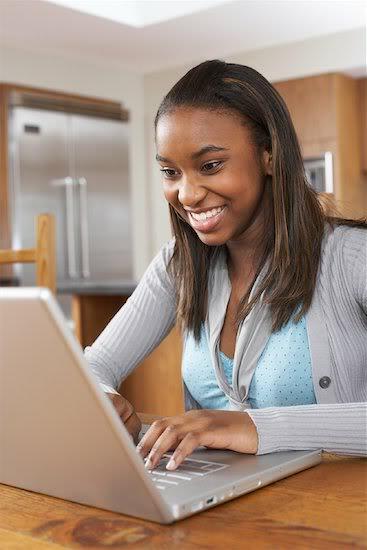 Then post the best of these videos on your Facebook page for all your friends to remember the party. Not surprisingly, the comments are often outrageous and always hysterical and they get better as the hour gets later! #2 Have a contest for the ugliest Christmas sweater, tie or other apparel and be sure to include reference to the contest on the invitation. This will ensure that you will have plenty of contestants because everyone has a tasteless, but FESTIVE sweater, tie or shirt. This will also provide some great Facebook postings after the party. #3 Give every guest their own stocking stuffed with party favors as they are leaving the party. 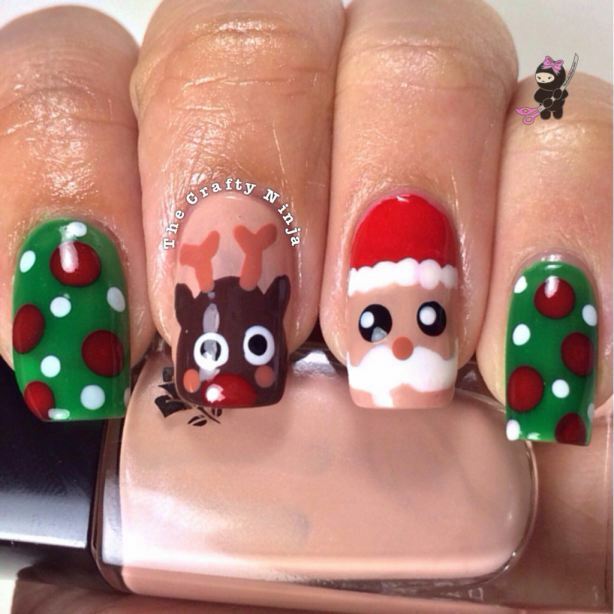 You can find inexpensive Christmas stockings at any party store and the goodies can be anything from fruit, candy, little toys, pocketknives for the guys and diaries for the girls. 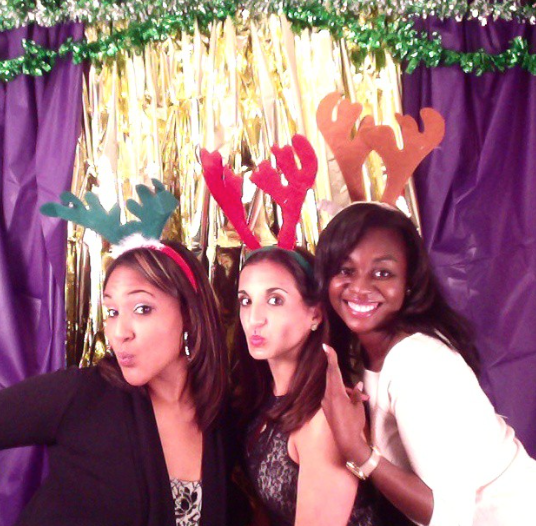 Holiday parties can be a blast and with digital cameras, the fun can keep going for days on your social networks. Let us know if you used any of these ideas and how your guests responded. Introduce your guests when they arrive, especially if you feel they don’t know each other “Shade meet Ngozi, you remember when you said you needed someone to bake your daughter’s cake? She bakes delicious cakes!” That usually helps to break the ice and encourages your shy guests to mingle. Finally, get yourself ready a good hour before your guests are set to arrive. The last thing you want after so much preparation is to look stressed out when welcoming your friends and colleagues in. Make sure you check your restroom and include a small candle or flower arrangement in there. Place a small basket with items that guest may need – from personal care to over-the-counter pain relievers. A Christmas party is a nice way to relax with family and friends you don’t see much of during the year. Everyone has a chance to show off their best holiday clothes and share good laughs. Have fun, take lots of pictures, and enjoy the party!